Aquatic science educators teach students and adults about aquatic ecosystems. Educators design educational materials, give tours and talks to visitors, build interactive educational displays, do work to protect the aquatic ecosystem, and help people understand the unique aquatic ecosystem on display at their center. Educators find jobs at nature centers, and state and federal agencies that have public lands open to the public. In this picture, high school students are looking underwater at the San Marcos Springs. 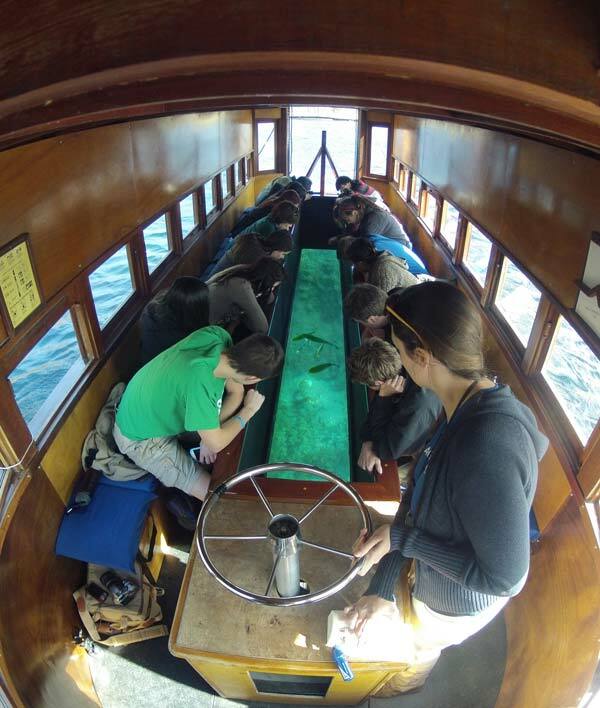 They are riding a glass-bottom boat and listening to an educator who is driving the boat explain all about the spring ecosystem. Educators at this aquatic science center located at Texas State University are students studying for a degree in aquatic sciences or they already have a bachelor’s degree in aquatic science or education.